If you're on the look out for a perfect tote to start off the new school year, work week or just general sidewalk style moment, Madewell is offering a tote we love. 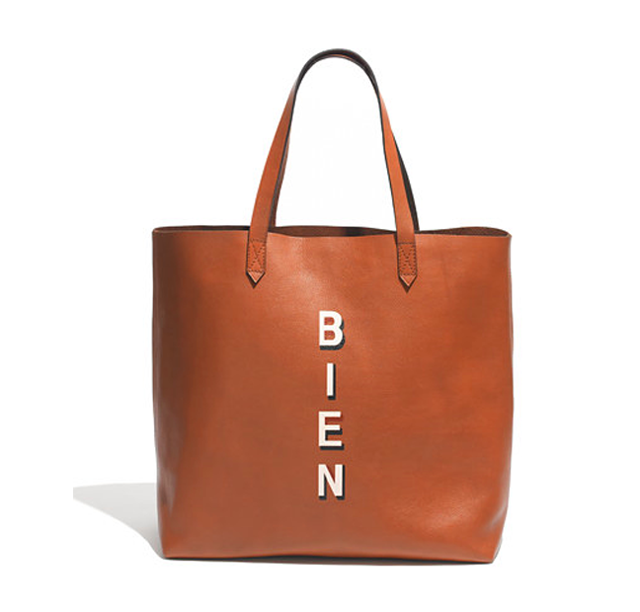 Called the Bien Tote, this leather carry-all will see you through life's "everything but the kitchen sink" moments with style and grace. It's a new arrival so fresh off the boat from production. Is it just me or does it all feel rather Louis Vuitton monogrammed Neverfull (only with vertical construction)?